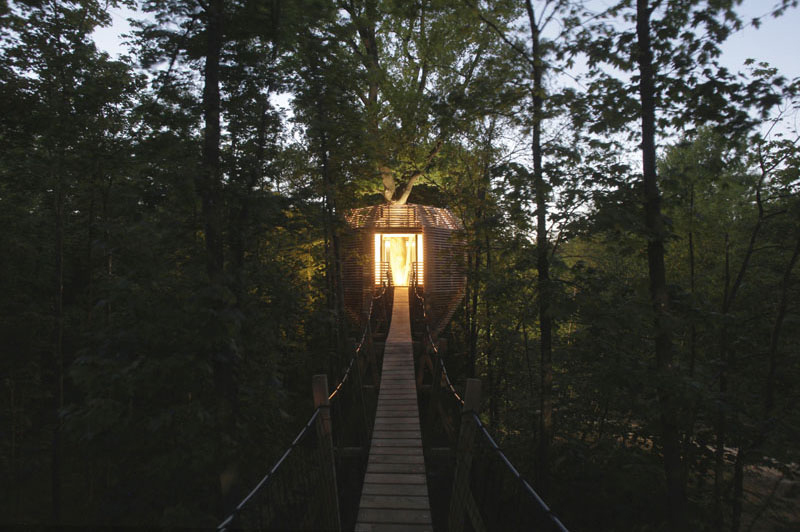 This tree house is definitely like no other! Take a look at its amazing design. Part of every child’s dream is to have his or her own fort which may come in a form of an outdoor playhouse, an indoor tent or even a tree house. 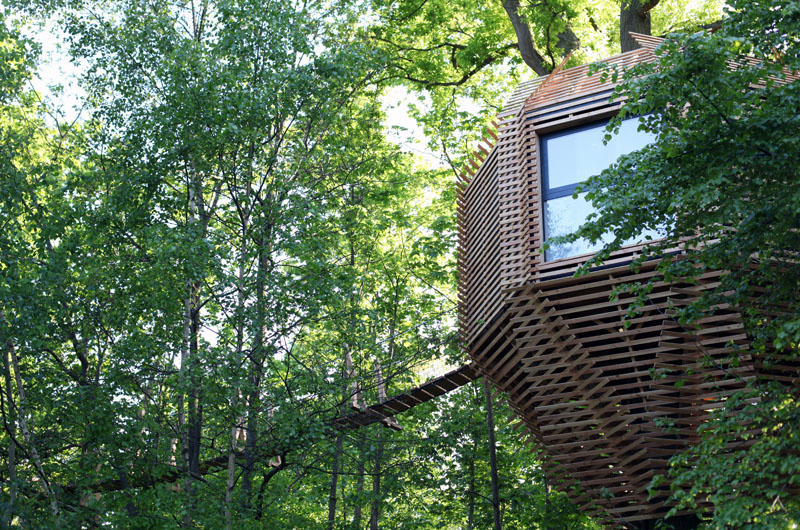 For most of us, a tree house would be more appealing because, well, it is up on a tree! And it would really feel great to look around you while you are elevated from the ground. But did you know that tree houses are actually not limited to kids and could be totally functional? This is what we will see in the Origin House. Yes, it is a tree house. Yet, it is not like the usual tree house we know. It is more than just an elevated structure. 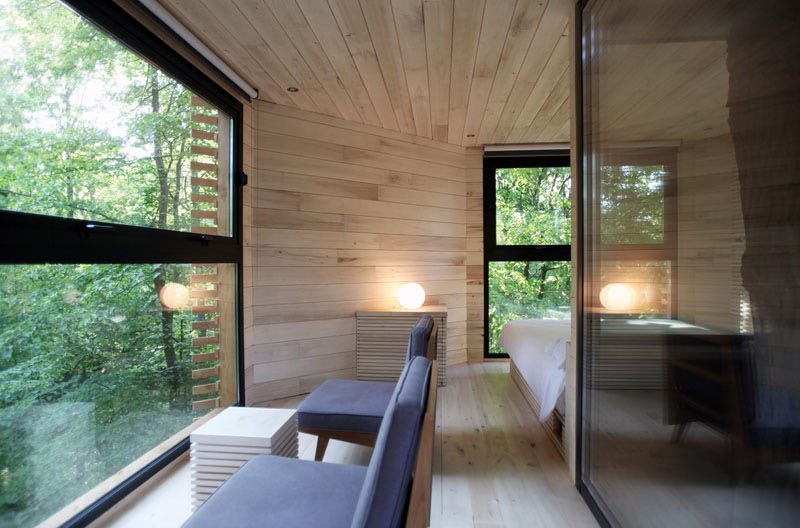 It is actually a hotel room in the middle of the forest in France! Unique feature: A unique tree house design which is octagonal in shape. It is complete with a living area, bathroom, and a bedroom. The idea of a tree house with a distinct design was conceived for the owners in France who wanted to have a unique cabin. The whole design is installed on a hundred-year-old oak tree. The goal of the design is to come up with a functional and comfortable hotel room. 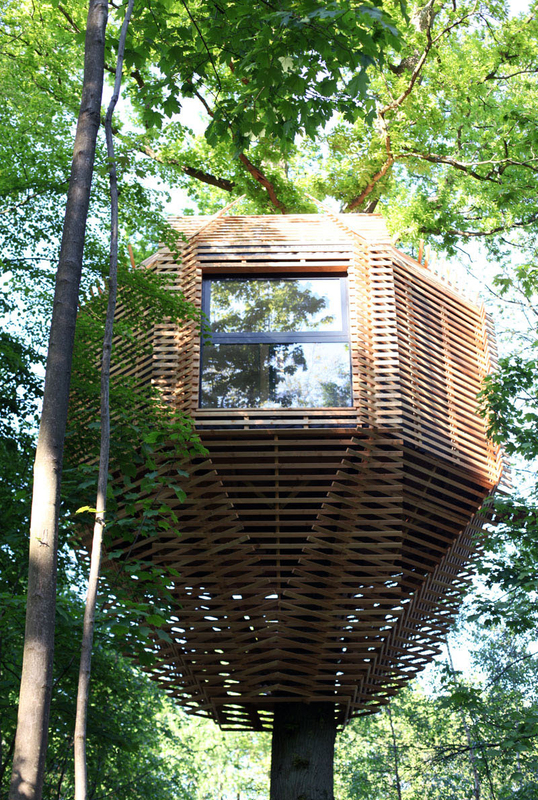 The tree house is inspired by the shape of a birds nest. This can be accessed from a platform which is suspended on another tall oak thirty meters away that comes with a heated spa and a chilling area. 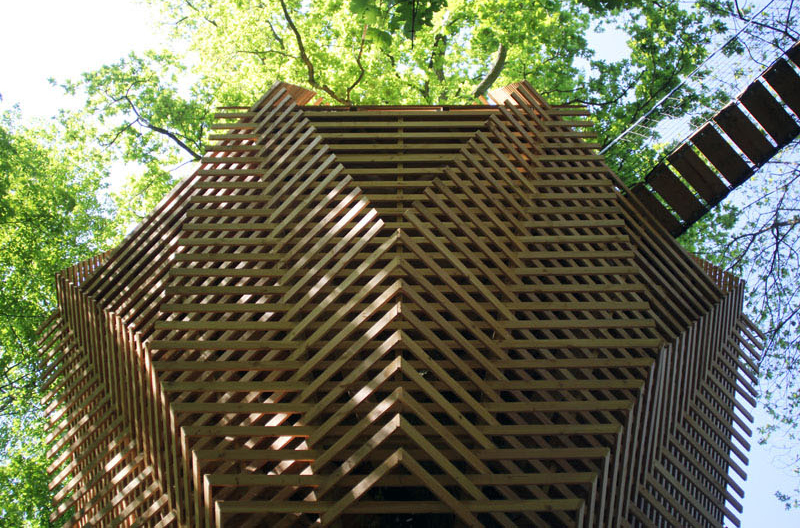 From the platform, there is a wooden walkway which is ten meters from the ground that will lead guests into the tree house. When one arrives at the tree house, it has a small patio around the trunk. This will make one feel that the area is secured, which may mimic the feeling of a nest. Two large sliding glass doors open to the living area. 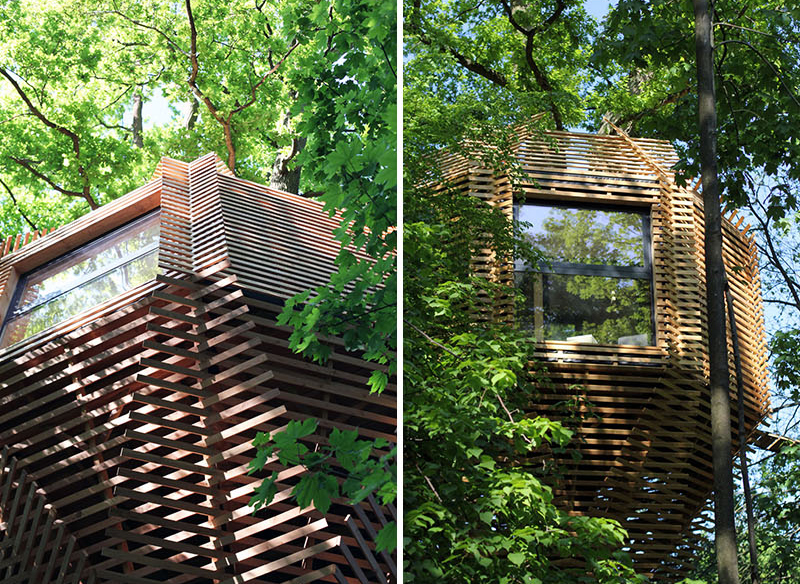 The tree house is octagonal in shape and it comes with many of large windows. 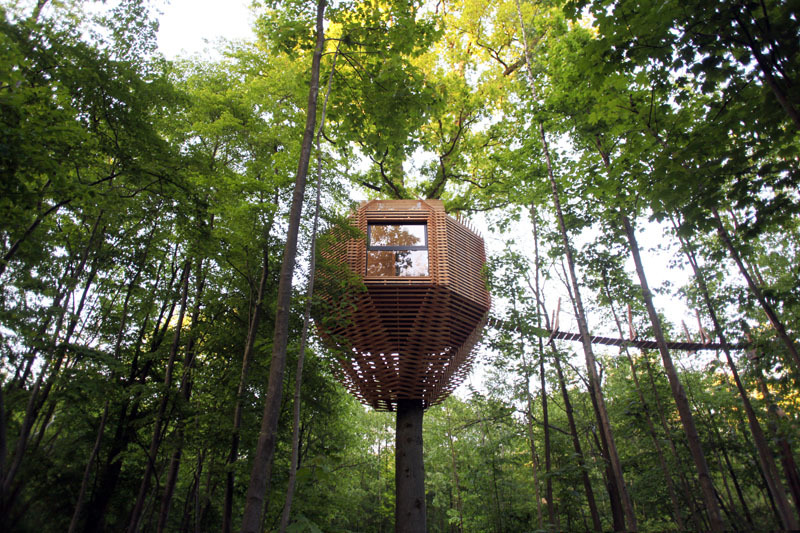 This allows guest to look out into the forest. 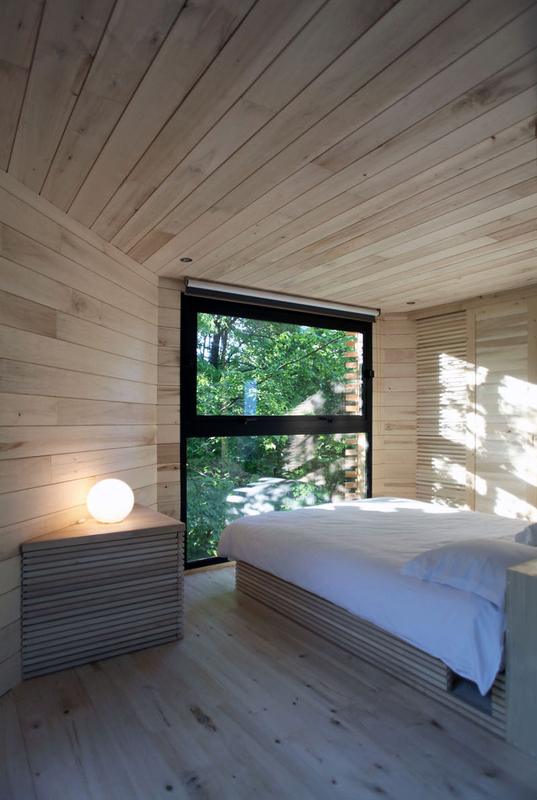 The wood interior is made from poplar which adds to the warm and comfortable feel of the space. There is a small sitting area inside as well as a bedroom. The sleeping area looks even more comfortable because of its white sheets. If you think there is no bathroom here, you are wrong! 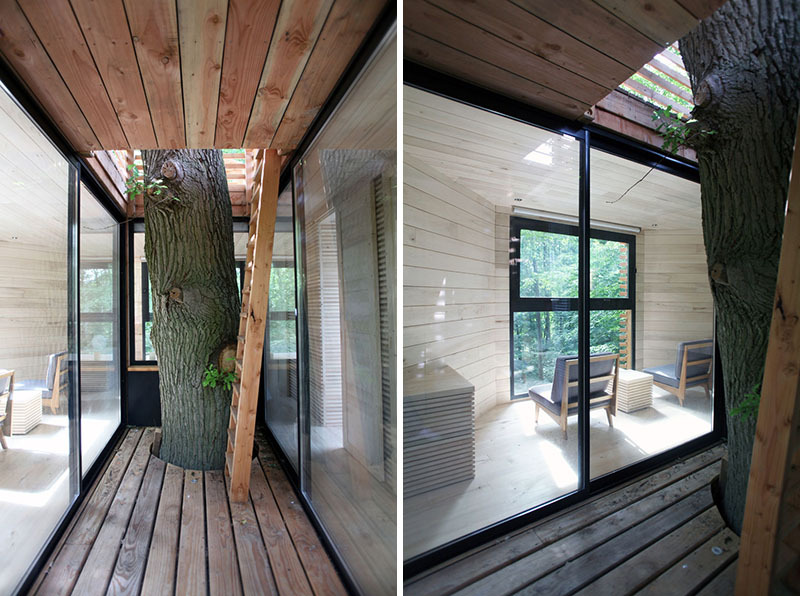 Three sliding doors provide access to another side of the tree house where one can see a dressing room, a bathroom and a technical closet. There is still an upper portion which can be accessed through a wooden ladder. 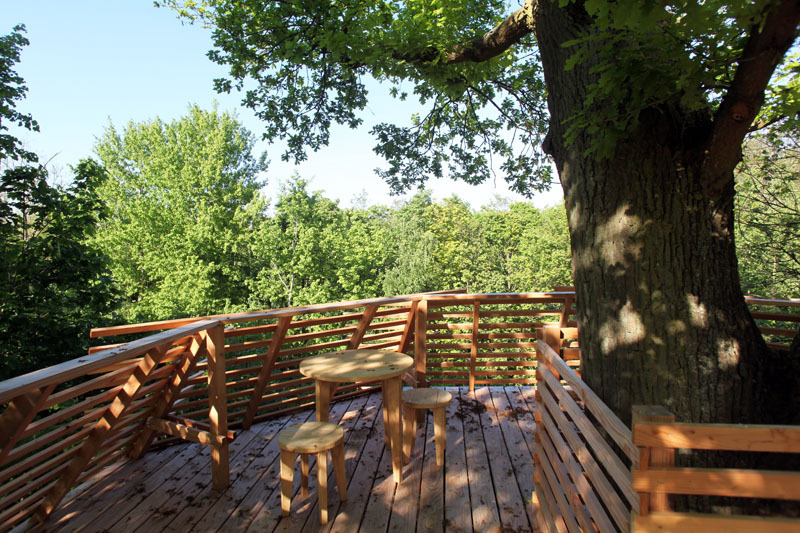 It invites guests to see more of the tree house’s beauty and nature around it. The ladder featured above continues up to the roof of the house. One can access the rooftop deck through a skylight. 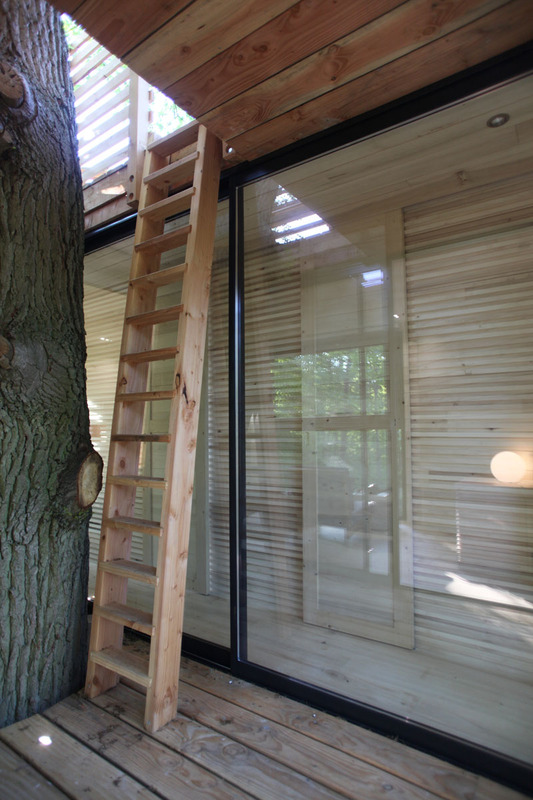 The tree house also opens up to a rooftop terrace. Yes, one can get 360 ° panoramic views of the forest from here! Just imagine how amazing would that be! The Origin House is perfect for a couple who is hungry for adventure. Aside from sleeping in a unique structure on a tree, it can also be accessed through a hanging bridge! That adds to the fun and excitement that guests can experience here. You can see here a closer look of the wooden slats used to assemble the tree house. Isn’t this a genius idea? Isn’t this a beautiful tree house? It sure is not the usual design that we can see in a backyard. Its unique design and the comfort it can offer makes it an exceptional structure. 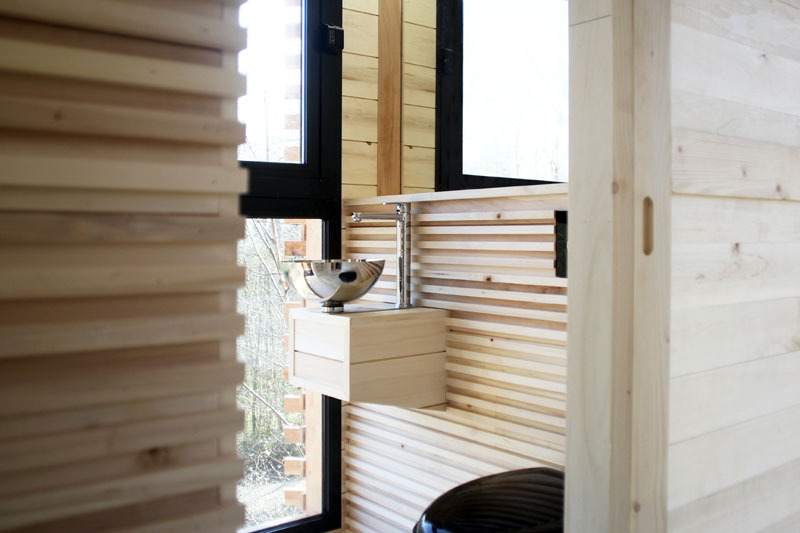 This project is designed byAtelier LAVIT for Cabanes Nature et Spa. It is actually a hotel room in the middle of the forest. You can just imagine waking up with the chirping of the birds around you! This design can also pass as a home. Small spaces like this work well not just for a one night sleepover but also as a home. We have seen many people who live in small houses but can still enjoy the comfort of their home.